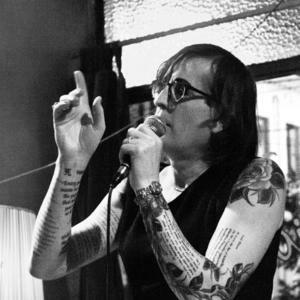 Kylie Supski is a Polish-Australian spoken word artist who performs live frequently all over Melbourne. In 2016, Kylie was a winner of the Melbourne Spoken Word Prize. Kylie’s inspiration comes from her personal experiences, all aspects of her life, and the people she is surrounded by. Kylie's interests also expand into theatre. In 2015, she collaborated on an immersive theatre production, The 10CS by Metanoia Theatre. In 2014 she was also involved in Queering the Body at TheatreWorks and the Gl ry project by Victorian College of the Arts during the 2014 AIDS Conference. Kylie is greatly concerned with using art as a method of speaking out about social, economic and political inequality. She encourages her audiences towards critical thinking, and to consider the weight of their own powers as citizens with specific regard to the inhumane policies backed by the Australian government controlled by less than ‘the 1%’. Many of her poems discuss her experiences as a transgender woman. Kylie is passionate about personal autonomy and exploring the beauty of being alive.